"With a wealth of experience and several world class players in their side, Uruguay should have too much for their opponents and I expect them to make a winning start." Egypt are competing in only their third World Cup and should be coming in with realistic hopes of qualifying from their group. The Pharaohs reached the African Nations Cup final last year and coach Hector Cuper, who has twice taken teams to Champions League finals, has the experience and tactical nous to ensure Egypt are dangerous opponents. Much of their threat obviously comes through Mohamed Salah with the Liverpool forward enjoying an astonishing 44-goal season for the Premier League club. His fitness is a question mark after suffering a shoulder injury in the Champions League final which means he could be held back for their crucial match against Russia. Without their talisman, Egypt's challenge against Uruguay becomes a great deal harder. Uruguay have an excellent pedigree in the tournament with two trophy victories and the South Americans could have another extended run in the World Cup this summer. Oscar Tabarez remains in charge of the team after guiding them to fourth place in 2010 and the experienced coach will expect his players to qualify from the group after reaching the last 16 four years ago. 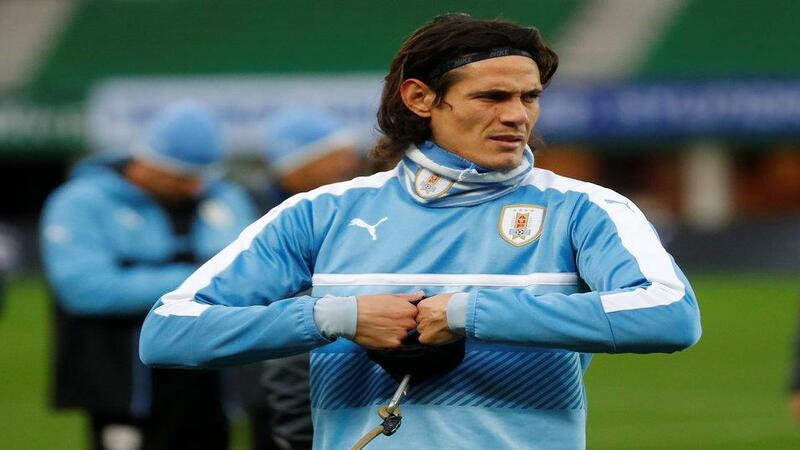 There is a huge amount of talent, especially in attack, for Uruguay with a front line of Barcelona's Luis Suarez and Edinson Cavani one of the most potent in the competition. But there is also plenty of quality behind them with Atletico Madrid's brilliant defender Diego Godin marshalling the back line. With the ability in their squad, Uruguay should finish top of this modest group and have no excuses for failing to qualify. Uruguay are [1.64] favourites for their World Cup opener and you cannot really quibble at this price. With a wealth of experience and several world class players in their side, Uruguay should have too much for their opponents and I expect them to make a winning start. The odds are fair but there are alternative ways of adding value to a Uruguay win. Egypt should not be written off for qualification but this looks a very tough start for the Pharaohs. Salah's fitness remains in doubt and even if he does feature it would be a surprise if he is in peak condition. Egypt are [7.8] outsiders for this match but there is little interest in backing them to win for the first time in a World Cup match. The draw is available at [3.75] and this is likely to be a target for Cuper's Egypt. He is expected to set up his team with a defensive strategy designed to frustrate the Uruguayans. That said, the South Americans should have enough firepower to open Egypt up and are fancied to start with a win. With a defensive gameplan from Egypt anticipated, Uruguay may have to be patient in breaking them down and it could prevent them from recording a big victory. The favourites are backed to claim the win but there could be value in combining this with under 2.5 goals. Uruguay should be able to prevent their opponents from netting and a low-scoring victory could be the most likely outcome. Cavani was the top scorer in the South American qualifiers with ten goals and the Paris Saint-Germain striker, who scored 37 club goals this season, is worth backing to net in this game. With the new Same Game Multi feature in the Sportsbook, you can get [2.53] on Cavani scoring in a Uruguay win which looks a tempting bet. Uruguay beat Egypt in their only previous encounter, defeating them 2-0 in Alexandria in August 2006. They are [1.64] to win again. Uruguay are unbeaten against African opposition at the World Cup (W1 D2). The draw is [3.75]. This is Egypt’s third World Cup appearance, their first since 1990. Their last game in the competition dates back to 21st June 1990, when they lost 1-0 against England in the group stage. Uruguay are [5.5] to win by the same margin. Egypt are so far winless at the World Cup, drawing two and losing two of their four games. In fact, no African team has played as many games in the competition without winning a single one. The draw half-time/Uruguay full-time double result is [4.1]. Uruguay were the first ever World Cup winners, in 1930. They also won on their second participation in 1950. They are the ninth favourites to win the World Cup at [30.0]. Uruguay have lost only one of their last eight World Cup group games (W4 D3), against Costa Rica in 2014 (1-3). However, they are winless in their last six opening games (D3 L3), their last victory coming in 1970 (2-0 v Israel). Egypt are [2.54] in the Double Chance market. Mohamed Salah scored more goals than any other player in 2018 African World Cup qualifying (Third Round), netting five of Egypt’s eight goals overall. Salah is [3.6] to find the net. Edinson Cavani was the top scorer in the CONMEBOL qualifiers for the 2018 World Cup, netting 10 goals for Uruguay. Cavani is [2.1] to score. Luis Suárez has been directly involved in seven of Uruguay’s last 13 goals at the World Cup (5 goals, 2 assists). Suarez is also [2.1] to score. This is Héctor Cúper’s first World Cup as a manager. His only previous major tournament with Egypt saw him lead the team to the 2017 African Cup of Nations final against Cameroon, where they went on to lose 2-1. Egypt are [7.8] to start their World Cup campaign with a win.